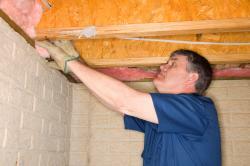 When's the last time you've thought about your El Paso, TX, attic insulation? Odds are, it's not something that's on your mind that often. Nevertheless, it's an important part of your home, and having the right materials up there can save you a substantial amount of money over the years. Here at Ace Insulation Services Inc, we're proud to be the contractor that residents of El Paso, TX, rely on for high quality work at honest rates. Whether you're constructing a new home or looking to make some updates to your existing property, we can provide a wide range of materials for you to choose from. Of course, we'll also provide expert advice to help you decide what's best for your energy requirements, the structure of your house, and your budget. We are happy to serve residents from cities across Texas, including Chamberino, Mesquite, and Fort Bliss. While we're at work, you'll be impressed by our respect and diligence, as we operate on a schedule that's respectful of your personal life. 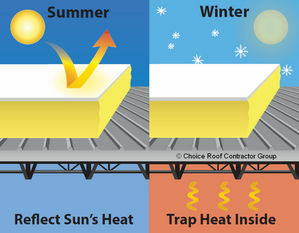 Don't trust just anyone with your El Paso, TX, attic insulation project. When you need the job done right and done on time, call the team at Ace Insulation Services Inc. We'll be happy to sit down with you to discuss your ideas, or get to work immediately on whatever project you have in mind. To arrange your initial project evaluation along with a reliable quote, give our offices in El Paso, TX, a call today.